 Mouse anti FK-506 antibody, clone FK1 detects FK-506, a macrolide with similar but more potent immunosuppressant activity than cyclosporine. It is a 23-membered lactone produced by the bacteria Streptomyces tsukubaensis. FK-506 inhibits signal transduction and interleukin-2 transcription in CD4+ T helper lymphocytes, and is mainly used after allogenic organ transplantation to reduce organ rejection. Side effects of FK-506 treatment include nephrotoxicity, neurotoxicity, diabetes mellitus and hypertension. Letko, E. et al. (1999) Tacrolimus (FK 506). Ann Allergy Asthma Immunol. 83 (3): 179-89; quiz 189-90.